Post subject: Do you have Food For Thought? My girl scout troop is particpating in a "Thinking Day" event where each troop in the area creates a booth representing a different county. We have Ireland. I am having trouble finding foods that the girls could make for this event. I think that we need to have enough for 200+ (!) people, so it should be something small and easy enough for 9 year old girls to make. Maura hasn't had a chance, I guess, to respond to your message. One idea that occured to me is a thing they make in Ireland called a Trifle. Most trifles have a layer of jello with fruit, and a layer of whipped cream on top; I think some of them also have a cake layer in there somewhere, too. Maybe some of our Irish members could shine some light on the precise trifle method. The Trifle recipes seem simple enough - I'm sure that the girls will enjoy making and eating it! Sorry I could not lend a hand sooner. Been very, very, very busy with work and then I got sick from allergy season coming on. Coughing so much had to come downstairs to make a good strong cup of tea. Chai teabags are a big hit with my throat! Lots of sugar and some cream. Aaaah! Having grown up in Australia (loosely related to English food), I can tell you about my trifle experiences. I just LOVE them. What I remember has cake and custard and whisky and lots of cream. You'd get a jelly roll which is a very thin layer of yellow cake, covered with strawberry or blackberry or raspberry jam and then rolled. You'd slice the roll and make a layer in a deep bowl. Glass is best, so you can admire your work. (If you cannot find jelly roll, use thin cake slices spread with jam. Next layer would be a home-made custard then more cake then more custard. On top of each cake layer, sprinkle some bourbon or rum liberally, although I guess with 9 year olds you might want to leave that off. You finish the whole thing off with a generous layer of real whipped cream and chopped toasted almonds. Mmmmmmmmmm. The English, it is said, kept asking the Italians to recreate this and it became known as "Zuppa Inglese" or Soup Italian, because the English kept asking for more rum or whisky or whatever they used that long ago when they were visiting Italy. This, I understand was the origin of Tiramisu, one of my all-time favourite finishes to a meal. Here in the south, they make something similar that they call "gypsy"...maybe they meant to call it "tipsy" because of all the bourbon that they'd used? Well, good luck to you and please post your results. Last edited by Despina on 25 Jun 2007, 18:51, edited 1 time in total. Bobby Flay, on the Food Network, shared his recipe for Gingerbread Trifle. It's easy to make, even with baking the gingerbread. We had it last night for Christmas Eve Eve dinner with friends and it was a HUGE hit. My observations: Frozen raspberries worked well for us as we could not find the blackberries. The cream/curd mixture is VERY tart. I would use all the whipping cream to mix in with lemon curd and whip an extra cup of cream for the top. Mr. Flay did not ask my opinion, but there it is, anyway. This was served after a dinner of Charleston (South Carolina) Shrimp and grits. For those not familiar with grits, just think polenta. A good evening...and we ended up by the fireplace--some with coffee (me) and some with vodka martinis. Happy holidays to all and a healthy and happiness-filled new year. May there be love enough left over to share with a stranger or two. This year was filled with enough natural disasters that strangers may now become new neighbours and friends. Let's be grateful for it all. Well, this might be stretching things a little, BUT after a wonderful performance at The Bohemian Cafe (Greenville, South Carolina) recently, I met Jerry Douglas. (What a NICE person! I think he smiled throughout his performance and through all the meeting fans, autographing cds and being photographed.) Anyway, somehow I wound up at Garner's Natural Foods Market and was inspired to purchase a few things for making a chicken, kale and white bean stew. Yup, just built a recipe out of the fresh meat and produce that I found there. Some people play the dobro and some people compose meals. Both outputs FEED people, just different parts. Jerry works on your ears and soul and I work on your belly--kind of a soul thing too, in some ways. SO...here's the recipe inspired by Jerry Douglas. Fill pot with water, add beans, heat until boiling. No salt, as it toughens the beans. Allow to boil for 5 minutes and remove from heat. Allow beans to soak for about 1 hour. Return pot to heat, bring to the boil and reduce heat to med-low for a slow bubbling. Continue to cook for about 30-45 minutes. Drain. Beans should still be a little crunchy. Combine gallon of water, chicken, garlic and salt and pepper. Bring to the boil, reduce heat to med-high and continue to cook for one hour. Remove the scum that rises to the top. Remove chicken and set aside. Reserve chicken stock. Wipe out pot with paper towel. Place pot back over high heat and pour in olive oil, garlic, leeks and onions, stirring until lightly wilted. Add kale and stir to coat with oil and other ingredients. When kale is lightly wilted, add salt and lots of freshly cracked black pepper and parsley. Add the partially cooked beans. Pour back into pot the reserved chicken stock, stir, cover and reduce heat to medium. This should take about 30 minutes. While the vegetables and beans are cooking, debone the chicken and cut into large natural chunks, not tiny and uniform pieces. Taste and add more salt and pepper, if needed. When beans and kale are cooked, add the remaining parsley and chicken. Allow to cook further for 5 minutes and remove from heat. Serve with Wildflour Bakery sunflower seed whole wheat bread or use your favourite bread substitute. We slice the sunflower bread thinly and toast it well, adding gobs of butter just as soon as it pops out of the toaster. The Wildfour Bakery is in Saluda, North Carolina. *The variety of kale that I used is called Lancetto. I think the extra curly and hairy kind that is typical of whats usually available the US may be a little overpowering. Use white or red chard instead. I tried your penne a la vodka recipe tonight. Yuuuuum! I left out the chicken and sausage. Instead, I used salmon. There were 4 salmon filets that I cooked on the skin side for 3 minutes. I turned them over to the flesh side and cooked 1 more minute and then placed in a dish until the rest of the recipe was done. Just before the sauce was ready, I added big chunks of the salmon steaks to the sauce. I know you are not a fish lover, but for those who are...this was very, very good. I forgot the basil and had to use dry, because there's no fresh basil in my back yard right now. I'm sure it will be greatly improved with the fresh. Also, don't tell my husband, but I used the good vodka--that's all we had. Sometimes you just have to make a decision. This one was a good one. Thanks for sharing. We all enjoyed it very much. I am glad it went well. It is always kind of fun to find a new recipe that you really like. Seems like you like to cook. If I lived with you, I would be 300 lbs. Glad it went well. By the way, I enjoyed your rap about Maura. Post subject: Vegetable and Olive Oil...Amen! Well, I see I've been too busy to add recipes. Been a little preoccupied with tending to family health issues...or is it lack of health issues? Ah, caring for parents--it's the way they get you back for having been a horrible teenager. In the good ole summertime we eat lots and lots and lots of wonderful vegetables and TOMATOES. Ah, it's such a sweet life. The way I grew up (wait...I grew up? ), we ate vegetables with great flavour--they were stewed with garlic and tomatoes and onions and great olive oil and when you ate them, you always had good juicy stuff to dip your bread into. Heavenly!!!!! Sometimes we'd boil the vegetables quickly in salted water, drain and serve them with fresh lemon juice and wonderful olive oil. Then we'd dip our bread in that mix of oil and lemon juice and the juicy liquid remnants of the cooked vegetables. MMMMMMM!!! Then there was this tomato salad that you'd mix with sweet onions, oregano and salt. 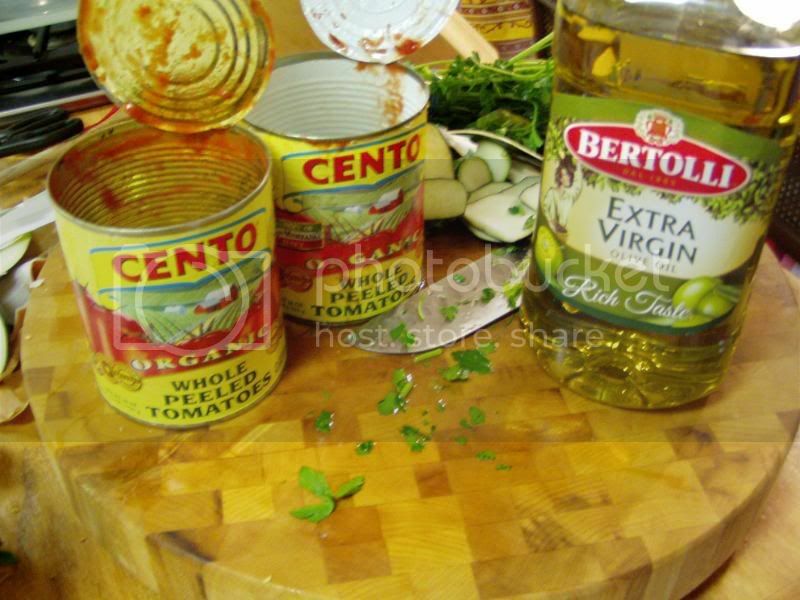 You'd let the natural tomato juices drain to the bottom of the bowl and then add that wonderful olive oil. You'd serve that with Kalamata olives, feta cheese and (yes, you guessed it) bread to dip in that wonderful dressing! I will post a series of vegetable dishes. Obviously, they will all have the magic ingredient--wonderful olive oil! Yes, the mayonnaise of the Mediterranean. So, I'll see you all back on this blog with my version of Ratatouille, for starters. Last edited by Despina on 19 Jul 2009, 16:49, edited 2 times in total. Despina, you are making me hungry just by reading that...it sounds so good. Recently I was introduced to the concept of bruschetta by a friend. She used homemade tomatoes, feta cheese, minced garlic, black olives, and some sort of crusty homemade bread. It was indescribably delicious, and I've tried several times to replicate it without success. It sounds similar to your meals above. I've read so often that the Mediterranean diet of fresh vegetables and fruit, some cheese, wine, lots of garlic and olive oil, and going lightly on meat and dairy products is the way to health. Any recipes you have to share would be appreciated! Perhaps we can e-mail back and forth (or post) and I can help you with recreating your friend's recipe. It would be my pleasure. Yes, the Mediterranean diet is healthier, but no less fattening, I'm afraid. For Riene (and for me) here is the definition of bruschetta straight from about.com: From the Italian word 'bruscare' meaning to roast over coals. The thin slices of bread are toasted, rubbed with garlic, then drizzled with olive oil and served warm. Sometimes people use bruschetta and crostini to describe the same thing, which they are and they aren't. Crostini are smaller or thinner toasts, sometimes brushed with oil first, prior to the toasting. The best bread to use is a French or Italian bread. Slice on the diagonal, about 3/4" thick. If some slices are thinner or thicker, it's okay! No one's going to get a tapemeasure to check--they'll be too busy eating. So, the idea is to char or toast these bread slices, on a grill if you have it, directly on the rack in the over if you don't. The racks will help give it that authentic grill rack look. The classic way is to get out some extra virgin olive oil and a brush. Once the toast come out, rub the garlic cloves directly onto the toast, just as if you were grating the garlic on the toast. This will give a more subtle garlic flavor. Next, you brush each toast generously with olive oil and top with any combination of tomatoes and herbs and cheeses. To make it easier, here's what I do. In a bowl, I combine two large and well-ripened tomatoes (diced), with 2 T. finely chopped fresh basil, 2 cloves finely chopped garlic, 1/2 large red onion and and about 1/4 cup of extra virgin olive oil. Add a little salt, mix and spoon onto the toasted bread. At this point you can crumble feta cheese or goat cheese over the top, but...sometimes it's best to leave well enough alone and just leave the cheese off. This was always intended to be a good snack to tide you over 'til dinner, but it's become such a fashionable appetizer, why not show off a little? It's easy, inexpensive, good and healthy and it tastes good. So, who's bringing the wine, Riene? Last edited by Despina on 19 Jul 2009, 18:40, edited 3 times in total. So, tonight my husband Dewey is grilling/smoking beef ribs. 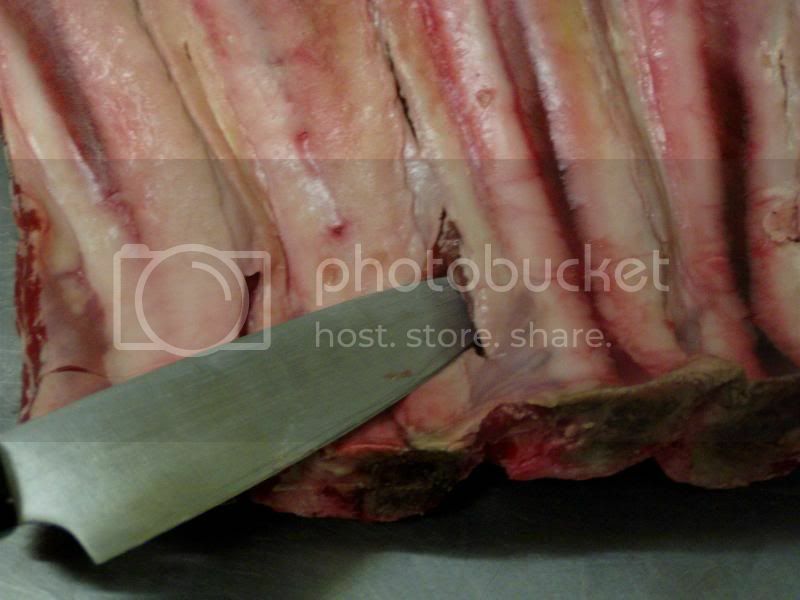 These are the bones and some of the meat left from cutting rib eye steaks. These are Texas-sized and Texas-prized beef ribs. They take a little time and patience, but if you put on two of your Maura O'Connell cds and bring out your favourite adult beberage, it really doesn't seem to matter. I prep them and Dewey cooks them. Cook over stove until it all comes to a boil, reduce heat, stir and simmer for two minutes and remove from heat. 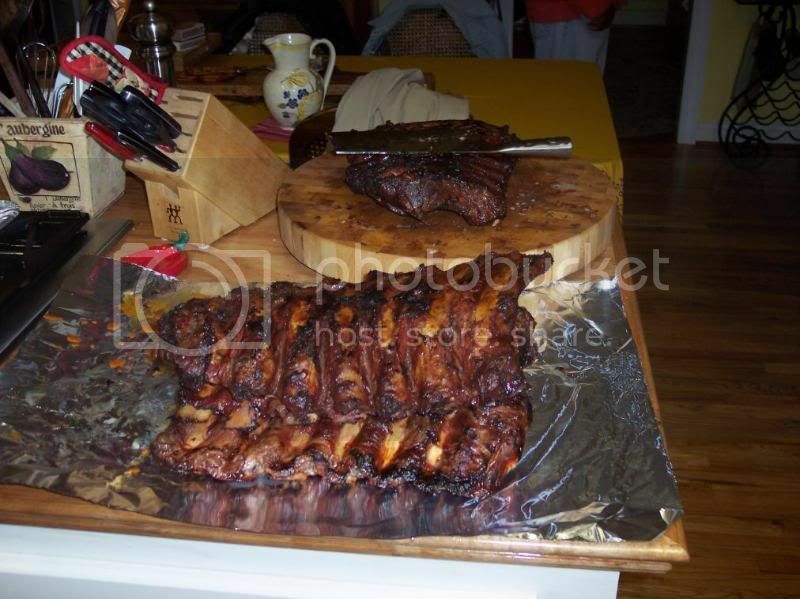 Pouring over the ribs while it's hot, will aid in the flavour permeating the meat faster. Okay, so you marinate overnight or for 8 hours, whichever comes first. I cannot teach you how to smoke and grill ribs, so have at it via The Food Network and Mr. Bobby Flay or through any of his grilling books. Basically, what you need to do is grill these over high heat, continue to turn and cook, as heat slows to medium and then add soaked wood chips to your coals. Close the grill lid, allow ventilation and enjoy the rest of your Maura cds and adult beverage. The whole process will take from 1 1/2 to 2 hours, so be prepared. Another way to do this is to invite a friend who knows how--friend cooks and you provide the cds and beverages. Winning combination. 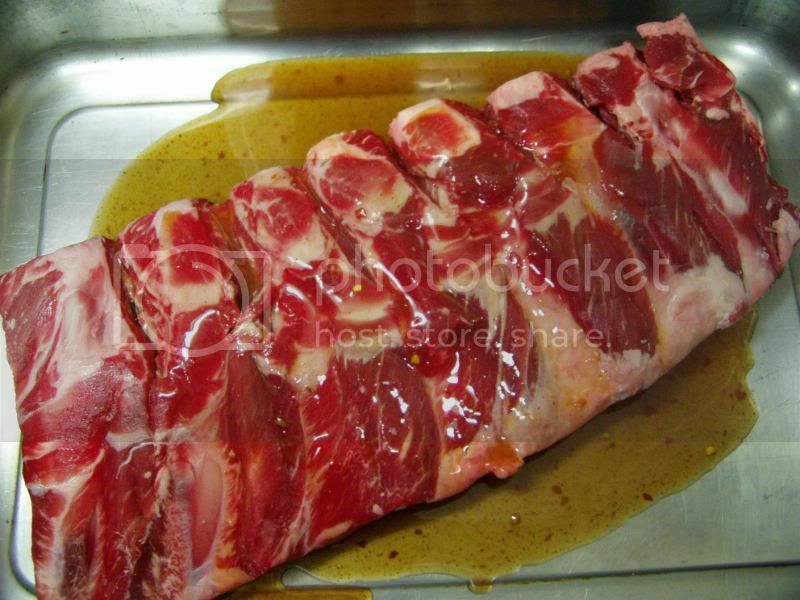 During the final 15 minutes of cooking, baste ribs with your favourite barbecue sauce, cover and allow to finish smoking. We combine regular red sauce with yellow hot dog mustard. 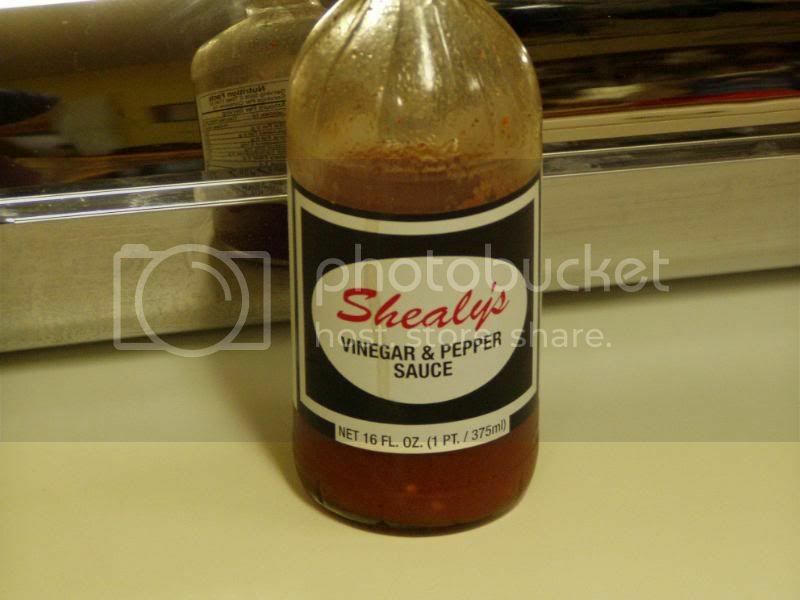 Boil or grill corn on the cob and serve with the following salad. Add just a sprinkling of salt and pepper and toss lightly with the dressing. Lima beans may be substituted for the avocadoes. This dressing has a very fresh, clean and sharp flavour, which contrasts well with the creamy artichokes, garbanzos, and avocadoes and complements the crispy vegetables. Last edited by Despina on 19 Jul 2009, 18:45, edited 3 times in total. I grew up in Michigan's Upper Peninsula, in a region called "the Copper Country." About 150 years ago, Finnish people emmigrated en masse to the UP to work in the mining and lumber industries. They loved the land because it reminded them of Finland. The Finnish heritage is still alive and well there today. I do not have any Finnish in me, but by growing up there, I have an appreciation for a number of Finnish foods. The recipe listed below is for a Finnish coffee bread called Nisu. It's a sweet bread, but not overly sweet. It's been years since I made it, but it's pretty easy and I'm hoping to make it again soon. I don't recall if it actually only had to bake for 30 minutes or not.... I hope someone out there decides to try this recipe - let me know what you think. Add yeast to warm water and stir until dissolved. Add lukewarm milk. Beat 1 egg and sugar together and add milk mixture, salt and some of the flour. Stir to mix. Add cardamom and enough flour to make soft dough. Knead vigorously until thoroughly mixed. Add butter and knead until dough no longer sticks to the sides of the bowl. Cover. Let rise in a warm place (about 85 degrees F) until doubled in size - about 45 minutes. Punch down. Divide into 3 equal parts. Shape each part into a long strand. Braid the strands to form a loaf. Cover. Let rise again until doubled in size. Brush with slighty beaten egg. Sprinkle lightly with sugar, if desired. Bake at 350 degrees for about 30 minutes or until golden brown and done.